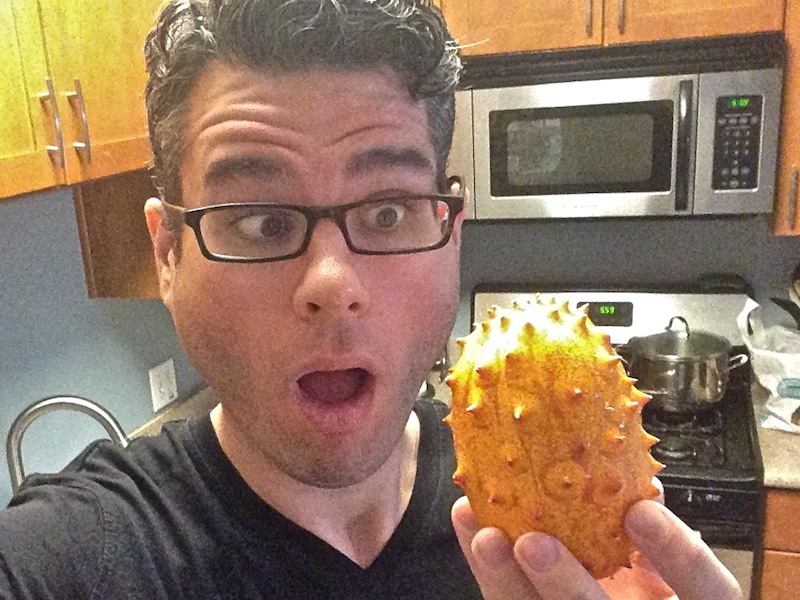 Horned African Melon | Keep It Up, David! CAREFUL! This Melon Has Spines and THEY HURT! Just look at this thing! Isn’t your jaw dropping too? You have my permission to send me an #ediblearrangement anytime you want. Thank you to @cyrena818 for this one!